Too hot to get outside? Kids bored with nothing to do? The WPC Library is always open. We have picture books and Bible stories for young children, books for preschool, elementary, and middle schoolers, novels and helpful non-fiction books for adolescents and young adults. Adults can choose from our selection of devotional books, adult fiction, self-help books, resource materials, Christian history, Bible guides, and much more. We even have some DVDs. You may check out books yourself anytime using the simple instructions posted beside the library computer. Books are due back in three weeks, but there are no fees if you are late. 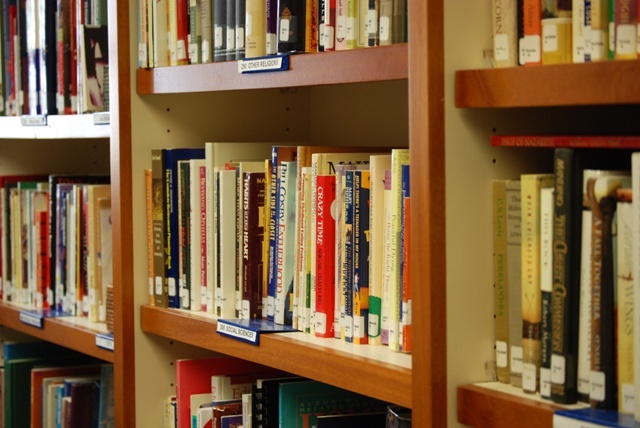 Stop by and see what your church library has to offer. You’ll find the library located next to the Parlor and across from the kitchen on the main floor of the Holderness Mission Center.